VPSSIM is the short name for VPS SIMPLE – an automatic installation and optimization Nginx – PHP – MariaDB (LEMP) script for CentOS 6 & 7. Unlike many other control panels write in the PHP language that run on the browser, VPSSIM runs only on SSH and does not run in the background so it does not consume VPS resources when not in use. This will help your VPS can devote all its power to serving the services related to the operation of the website. VPSSIM has a lot of features shown in friendly and easy-to-understand menus, saving you a lot of time and effort when using VPS. 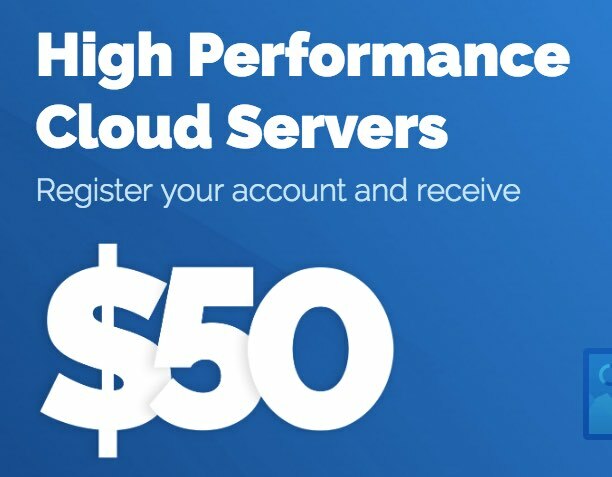 With so much functionality, even if you are new to VPS, you can easily master it. Just using VPSSIM proficient, you will find it easy to use VPS – just like this script called VPS SIMPLE. Currently, many companies involved in website design services, hosting & server sales in Vietnam using VPSSIM and referrals to customers. Please build a VPS (or a VM) to install and try VPSSIM, I believe you will like it. Setup latest Nginx version: Setup lastest Nginx version compile with Openssl 1.0.2l. Supprort HTTP/2 to increase website speed. VPSSIM automatically notified on VPSSIM menu when nginx has updated. VPSSIM support setup Nginx with Google PageSpeed module to speed up website and has the function to ON/OFF config Google PageSpeed for website automatically. VPSSIM support Change PHP Version: PHP version Support : PHP 7.2, PHP 7.1, PHP 7.0, PHP 5.6, PHP 5.5 and PHP 5.4. VPSSIM support MariaDB Version: 10.0, 10.1; 10.2 &amp 10.3 . VPSSIM has update functions: System, Change Nginx Version, Change phpMyAdmin Version, MariaDB and support 2 languages English – Vietnamese. Easy to Add and remove website from server. VPSSIM support pre-install or pre-download wordpress code with config for Redis Cache, WP Super Cache & W3 Total Cache, WP-Rocket plugin. Realy Easy setup Let’s Encrypt SSL using Acme.sh . Everything is auto and take some seconds to finish. VPSSIM has “WordPress Blog Tools” function. Many utilities to manage wordpress website such as: Update wordpress safely (update 1 website or all wordpress website one time, before update wordpress code, VPSSIM backup the database), ON/OFF Protect wp-login for WordPress Website, Fix permission error, Enable/Disable auto upgrade, Enable / Disable Redis Cache, Setup wordpress multisite, Create Vhost for wordpress multisite…. Database Manage: Auto re-Start MySQL Server, Create, Delete, Backup, Auto Backup, Restore database. View and change password for user Root of MySQL. Backup & Restore Code: Support Backup and restore code for website, auto backup code. Setup File Manager: Setup, remove, enable/disable, change doman file manager any time. Resilio Sync Manage: Auto Setup Resilio Sync, change Resilio sync port & password. Zend Opcache, Memcache, Redis Cache Manage: Enable/Disable Zend Opcache, Config Zend Opcache, Add website to blacklist, remove website in Zend Opcache blacklist…. Create and change swap size. Setup Netdata, Net2FTP and manage them. CSF Firewall Manage: Install CSF and auto config, Auto add your IP to CSF Whitelist, block IP …. IPtables Firewall Manage :Backup, restore config, Open, close port…. Many others Tools & Addons: Change SSHD port, Find top Largest files and folder, Setting Server timezone, Install / remove Imagick, Install / Remove Ioncube…..
And much more other utilities …. VPSSIM created by Nguyen Oanh was first shared in HostingAZ.VN . I have translated VPSSIM to English and shared it on VPSSIM.COM hoping many people worldwide can use VPSSIM and like it. If you like or do not like VPSSIM or have any idea about VPSSIM, please contact me at im@oanh.win or admin@vpssim.com.